Please note that the deadline for the CfP has lapsed. For attendance of the conference, use the registration form. Please note that due to the different schedule of the German academic year, the conference takes place a month later than usual. The 2016 NECS conference will be held in Potsdam, Germany, home of Europe’s largest film studios in Babelsberg. The Berlin-Brandenburg region is internationally renowned for its media industry. 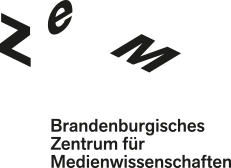 The Brandenburg Center for Media Studies (Brandenburgisches Zentrum für Medienwissenschaften, ZeM) is a new joint institution of the universities and colleges of Brandenburg. The interconnections that the ZeM aims to represent and create both within media studies and with related disciplines are intended to increase the visibility of the numerous contributions in research and teaching as well as to develop a distinct profile for Brandenburg as a significant contributor to the field. Historical aspects: What is the role of media in the process of (inter)connecting different spaces and times (“cultural memory”)? How have mediated connections and the cultural significance of connectivity changed throughout history? How do we connect with the past as media scholars (archives, media archaeology etc.)? Theoretical aspects: How does connectivity relate to other concepts, such as communication, mediation, interfaces, relays, hubs and networks? In which discourses and theories have these terms originated, and what are their ideological and methodological implications? Technological aspects: Which technological innovations have been crucial for the development of our culture of connectivity? How does technology influence our perception of being connected? Political/ideological/social aspects: What are the political, social, and ideological conditions, implications, and effects of connectivity? What kinds of social groups do media form (fan cultures, production networks, internet forums, computer game communities etc.)? Psychological/anthropological aspects: What are the psychological motivations for and the effects of media connectivity? Is there a relationship between the idea of connectivity in media studies and the idea of connectivity in the realm of neurosciences? How has connectivity changed media reception practices? Does the idea of connectivity help us develop our understanding of the relation between the human body, media, and society? Aesthetic aspects: How far has the idea of connectivity inspired new aesthetic forms, modes of narration and representation or strategies of artistic production and media consumption? Meta-theoretical/institutional aspects: How has connectivity changed the way we conduct our work as media scholars in teaching, research, and publishing? How is the field of Media Studies connected geographically, socially, and institutionally with other disciplines? The conference will be held in English. Scholars from all areas of media and cultural studies (film, radio, television, digital media, etc. ), whether previously affiliated with NECS or new to the network, are invited to submit proposals, but NECS membership is a requirement (see below). Individual presenters wishing to submit a proposal for a paper presentation of max. 20 minutes are required to provide their name, email address, the title of the paper, an abstract (max. 300 words), 3-5 key biographical references, and a short bio of the speaker (max. 150 words). We support the submission of proposals for pre-constituted panels in order to strengthen the thematic coherence of panels. Furthermore, several thematically related panels may form larger clusters (“panel sponsoring”). We would like to strongly encourage members of the NECS workgroups to put together pre-constituted panels, but we also welcome submissions from academic research project teams, museums, archives, and other institutions. We highly recommend no more than two speakers from the same institution with a maximum of 20 minutes speaking time each. Panel organisers are asked to submit panel proposals that include a panel title, a short description of the panel (max. 300 words) and information on all of the individual papers of the panel, as described above. Events such as workshops, roundtables or seminars – both pre-conference and conference – concentrating on more practical aspects of our field, e.g. teaching, research methods, publishing, or networking with the media industry are also welcome. Speaking time should be limited to 10 minutes per participant. Organisers are asked to submit workshop proposals that include a title and a short description (max. 300 words). There will be opportunity for the NECS workgroups to meet during the conference. There is no conference fee, but valid NECS membership and online registration are required in order to participate in the conference and to hand in a proposal. Participants (individual presenters as well as all members of pre-constituted panels) must register and pay their membership fee before a proposal is submitted (http://necs.org/user/register ). Since bank transfer may take some time, please consider transferring the membership fee before 23 January. Participants will have to cover their own travel and accommodation expenses. Travel information, a list of local hotels and information on further events (such as film screenings and a tour of the Babelsberg film studios) will be posted on the NECS conference website in spring 2016. For the 10th anniversary conference of NECS, and following our successful workshop on “The Future of NECS” at the Lodz conference in 2015, this preconference workshop will report on the state of the art in media studies in individual European countries. In particular, it will deal with the question whether there is a common perspective that can be regarded as specifically “European”, and if so, how this relates to other parts of the world (such as the USA or developing countries).The Steering and the Strategy Committee will organize the event. The workshop will be open to all NECS-members, a program will be published by May 1 on our website and via newsletter. We are pleased to announce that the HoMER network will once again take part in the NECS conference, as it has previously in Prague (2013) and Milan (2014). The HoMER papers will be selected separately, but for participating in the main conference NECS membership is also required. For further information please see: homernetwork.org.